Shop online for over 1,300 trumpeter at discounts up to 50%. Plastic Models is the most popular of the 3 trumpeter categories, then Building Supplies, and Model Trains. 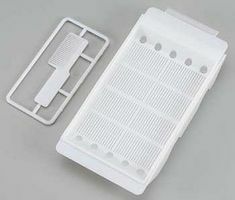 This is the Decal Tray from Trumpeter. Suitable for Ages 14 & Up. This is the Modeling Clamps with Base from Trumpeter. Suitable for Ages 14 & Up. This is the 1/700 Scale Ship Display Case from Trumpeter Models. 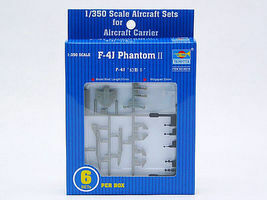 This is a 1/350 scale F-4J Phantom II set from Trumpeter. This is the 1/18 Scale Car or 1/35 Scale Military or 1/350 Scale Ship Plastic Model Display Case by Trumpeter. 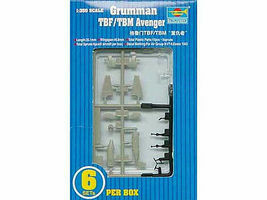 This is the 1/24-1/25 Scale Car or 1/48 Scale Military Display Case from Trumpeter Models. 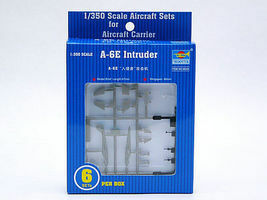 This is a 1/350 scale A-7E Corsair II set from Trumpeter. This is the 1/350 Scale US Marines Air Group Set from Trumpeter. Suitable for Ages 14 & Older. This is a 1/350 scale SB2C Helldiver set from Trumpeter. This is the Showcase for Military & 1/700 Ships (19.6L x 5.8W x 5.75H) with Black Base from Trumpeter. This is a 1/350 scale SH-3H Seaking set from Trumpeter. Assemble the Russian SAM-6 Anti-Aircraft Missile with this 1:35 Scale Plastic Model Kit from Trumpeter. Suitable for Ages 8 & Older. This is the HO Locomotive & 1/43 Scale Truck Display Case from Trumpeter Models. Assemble the USMC LAV-25 "Piranha" with this 1:35 Scale Plastic Model Kit from Trumpeter. Suitable for Ages 14 & Older.